Highlights - One of the most delightful treks, affording views of lush green valleys, towering snow-clad mountains and barren hills with surrealistic forms and shapes. Hamta Pass Trek takes us over the majestic foothills of the Himalaya, the Pir Pangal Range, crossing at Hamta Pass (4,268 m) to reach remote Lahaul. An isolated district of Himachal Pradesh, Lahaul lies amongst the Himalaya peaks. 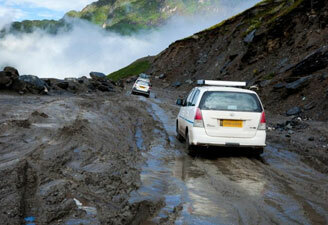 This was traditional alternative route between Lahaul and Kullu Valley before the road was made over Rohtang Pass. Pick up from airport/ Hotel in Delhi. 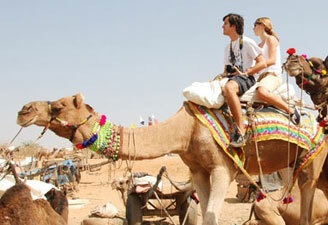 Depart Delhi for Chandigarh by road. Arrive and transfer to Hotel. 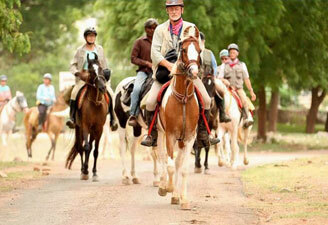 In the afternoon proceed for sightseeing of Chandigarh. Overnight stay at Hotel in Chandigarh. Depart Chandigarh for Manali by road. On arrival Manali, transfer to Hotel. Overnight stay at Hotel in Manali. Transfer by road from Manali to Prini. The trek starts from Prini roadhead (6400 ft.) passing enroute the village of Prini and the temple of Lord Jumla (regarded as the most powerful God in this valley of 200 Gods). Beyond the temple, the trek climbs steeply up to the summer village of Satan. Leaving the village, the trek leads through a thick fir & spruce forest and ends at the alpine meadow of Bhujdhar (11000 ft.). Night halt in camp. The initial trek follows the river valley leading to the Hampta pass. The route is level. A little beyond the camp, the Jobri Nala stream which starts from the famous Deo Tibba peak is encountered. Afterwards the valley opens into the wide meadow of Chikkha (10,000 ft.). From Chikkha the valley narrows and climbs to the higher valley of the Hampta stream. From here one reached the Juara campsite (11,800 ft.) after a gradual ascent. The trek ascends gradually along the Hampta stream and leads to the base of the pass (13,200 ft.) with breathtaking hanging glaciers are enjoyed. Night halt in Hampta pass base. An early starts brings us to the Hampta pass is steep. However, we are rewarded with fantastic views of the Mulkila Range of a clear day. Peaks well over (20,000 ft.) and the beautiful peaks of Indrasan (21,000 ft.) and Deo Tibba (20,100 ft.) can be seen. Crossing the pass, we leave the green valley of the Gods and enter the moonscape valley of Lahaul. The descent from the pass steep and tricky. Along the northern Hampta stream, we cross screw and glacial boulders before reaching our camp site at (12,200 ft.). A short descent takes takes us to the confluence of the Hampta stream and the River Chandra. 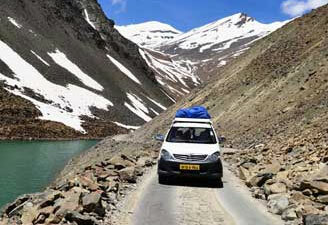 Following the river down stream, one reaches the roadhead of Chatru (10,900 ft.). hours. 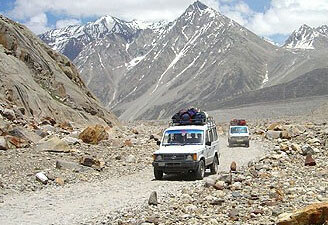 The transfer by road back to Manali takes 7 hours crossing the Rohtang Pass. (13,600 ft.). Drive by Jeep to Manali, a drive of 7 hours over Rohtang pass (4200 Mts.) Overnight stay in hotel. Drive back to Delhi. On arrival Delhi transfer to International airport to connect to flight for onward destination/ or alternatively book an extra night at a hotel in Delhi.